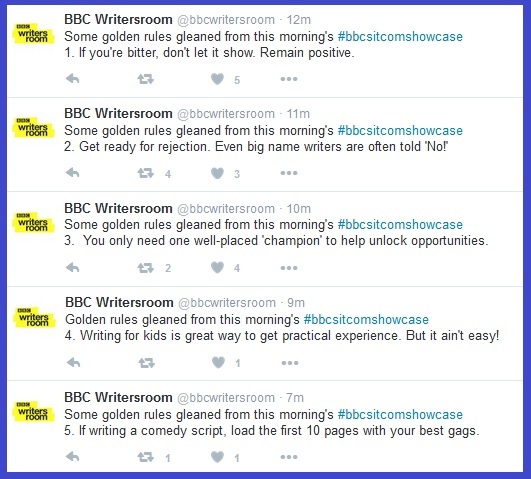 Glancing through my Twitter feed I noticed the BBC Writers Room twitter account had some nuggets which seem good to share. I really liked tip #5 as this is one I’d not thought about. It will certainly be something I remember for when I start writing (again).